Before our Neighborhood Association’s February Steering Committee Meeting the Association will sponsor a Candidate Forum that affects the southeastern part of our Neighborhood boundaries, Ward #30. This is for Aldermanic District #3. Our current, designated Council Person is Kathy Mitchell. at the April 4th election Kathy is being challenged by Jeremy Gragert for that position. The rest of our Neighborhood is served by Andrew Werthman who is not facing an opponent this time. Ward #30 is bound by the south side of Altoona Avenue to the north and the east side of Lee Street to the west. At the February 15th forum the two candidates will be available for 1:1 dialogue from 5:45 PM until 6. From 6 to 6:30 the two will present their background and skills they’d bring to the City Council as our designated Council Person and what challenges, directions and opportunities they see ahead for our Neighborhood and our City. 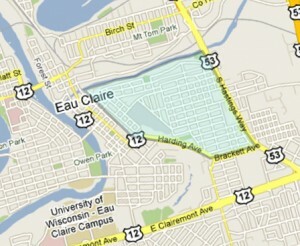 This forum and meeting will be at the Eau Claire Music School that is within this District #3. The election for this position will be on April 3rd. Also on that ballot will be voting for County Supervisors, School Board Members, and Circuit Court judge. Also, on February 20th, show up to vote in the Primary for State Supreme Court Justice. This is a race we all need to weigh in on. Our Neighbors are always welcomed at our monthly meetings. In April and September we strive to have as many Neighbors come as possible by focusing on important topics for our Neighborhood. On the 15th come for the forum and leave or stay for as much of the meeting as intrigues you. 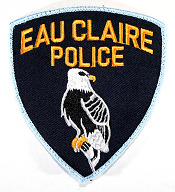 Again on the third Thursday of the month our Committee will meet on the 15th at 6:30 PM, at the Eau Claire Music School at 1620 Ohm Avenue. Elizabeth Paulson from the City/County Health Department will explain the new housing code process and how it will affect our Neighborhood and individual property owners. See the separate article about our City Council candidate forum that will happen before the start of this meeting. There will be some discussion of the “Boyd Park Plus” project to improve our signature park. We will respond to Chris Buske’s proposal that he distributed last month that calls for some extend planning to better chart the annual goals for the Steering Committee that could subsequently help guide each meeting’s agenda items. Last minute agenda items from Neighbors and the Committee will be added as time permits. Our Neighbor Shelly Sutley is looking for Neighborhood help to sustain the 2017 Bluebird Trail of ten nesting boxes that brought new life to Forest Hill Cemetery. Shelly is recruiting and training a team that can carry on this project under her guidance. Not only does this project increase the population of these “cavity- nesting songbirds”; her project is linked to The Cornell Lab of Ornithology (NestWatch.org) and other sites to share best practices, especially as native Bluebirds compete with the invasive House Sparrow (that’s Cornell, New York). A potential, on-going presence to guide this project would be a committee within our Neighborhood Association, with Shelley giving technical guidance and inspiration. For information on getting involved contact Shelly at ShellySutley@gmail.com. She cautions that untrained persons should not disturb the boxes; to do so would jeopardize the scientific results. Shelly and her entourage were a highlight at our August, 2017, Promenade event to celebrate the season’s perennial plantings on Margaret Street. Watch for effervescent Shelly replete with magical bluebird wings and leading the singing of “Zip-A-Dee-Doo-Dah…Mister Bluebird on my shoulder…”. On March 7th former Police Officer Corey Saffold from Madison will speak on “The Paradox of Being a Black Police Officer Today”. It will be presented at our downtown library at 7 PM. He will review some police shootings and why, as a black man, he chooses to do the work of policing today. He has worked in schools and the community. This program is offered through the Wisconsin Humanities Council which for 40 years has sought ways for every Wisconsinite to participate in crucial civic discourse.